Congressman Diane Black, the Chair of the House Budget Committee, speaks with Host Dr Carol Swain about the outrageousness of the attacks on Judge Brett Kavanaugh and what she believes the Senate must do to rectify the situation. Named among the 25 most influential women in Congress by Roll Call. In Congress, Black served as Chairman of the House Budget Committee from January 2017 to January 2018, where she worked alongside her colleagues to draft budget resolutions that root out wasteful spending and confront the drivers of our crippling $20 trillion debt burden in Washington. 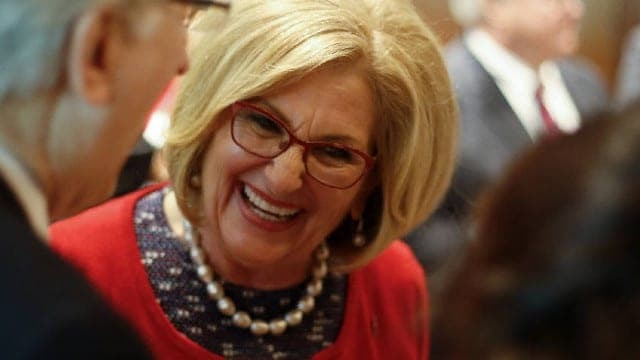 As a registered nurse, small businesswoman and former educator, Congressman Diane Black brings a unique and dynamic perspective to her work in Congress. Diane’s faith in America’s promise was shaped from an early age.